A couple of months back I had the privilege of introducing a friend of mine and a well-known figure on the food scene, to another pair of friends of mine… also well-known figures on the food scene. They hit it off well and found many points of compatibility, and so I’m excited to be able to share their news with the world today. 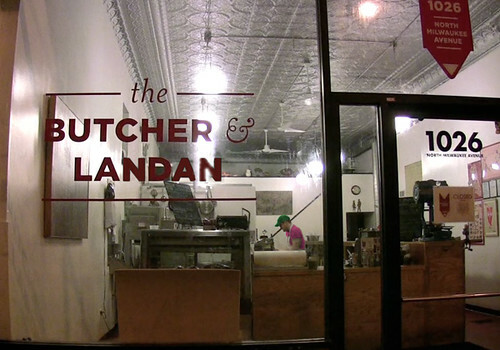 Chicago’s beloved butcher shop The Butcher & Larder is going in a new direction in the next few weeks with the addition of two new partners to the team of Rob and Allie Levitt. 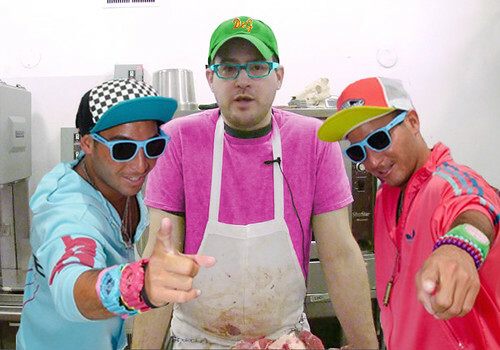 They are Jon and Andrew Landan, the twins who have become renowned for their tireless work promoting the Chicago social scene. The revamped shop, The Butcher & Landan, will continue its dedication to farm-sourced, naturally-raised meats, but at the same time will add features reflecting the increased popularity of whole-animal butchery on the social scene, such as an on-premise DJ, Ladies’ Nights, and bottle service in “Protein,” the shop’s new second-floor lounge.